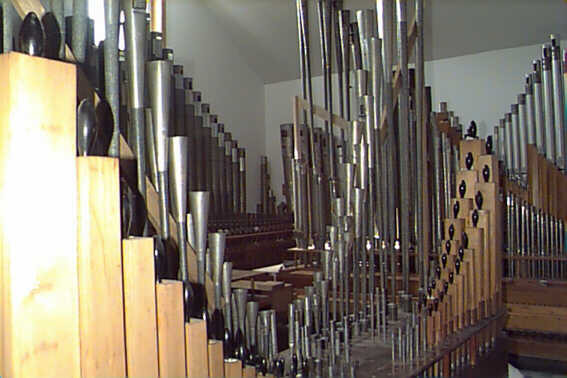 The organ pictured here is Opus #1700 a 2/6 style "DX" Wurlitzer from the Grand Theatre in Malone, New York. 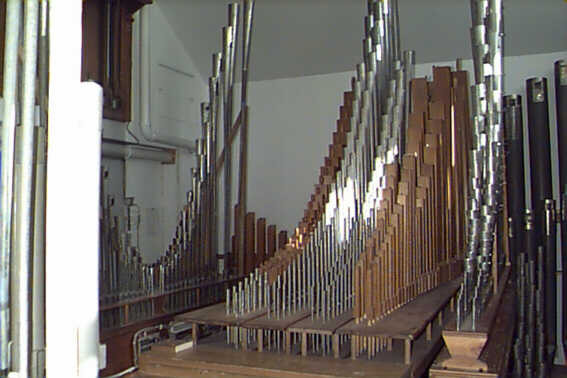 Paul Grant from Racine will be using the console from this organ. He bought the "Wurlygrin" that I had before from me. I kept the 2/7 Wurlitzer console (Opus #1828) from the Sheboygan theatre which is only 20 miles from here. The console is highly unified for 11 ranks and has a complete electronic relay. It also is an identical scrolltop as the Grand. I converted the entire Grand Wurlitzer to an electronic relay. 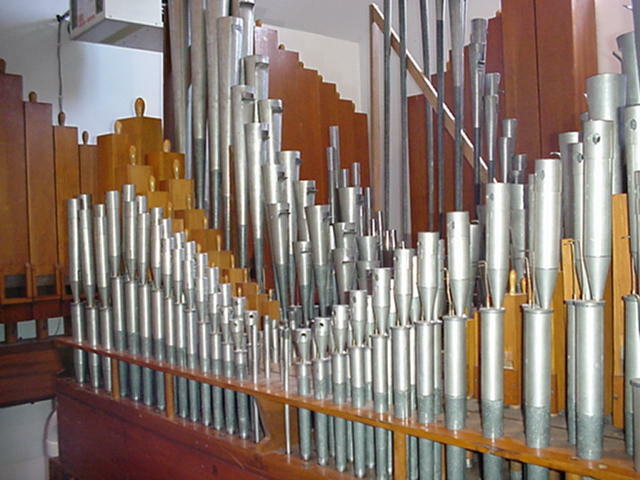 The organ is fully playable. 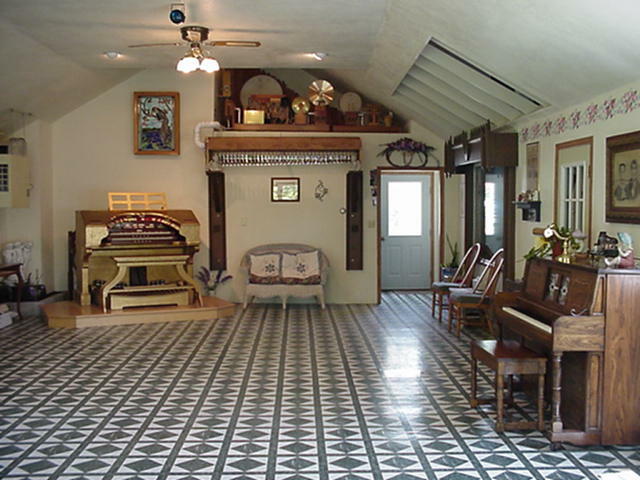 The first DTOS social was held here June 11th, Gary Hanson from the organ Piper in Milwaukee played. caused it to really become "Alive". 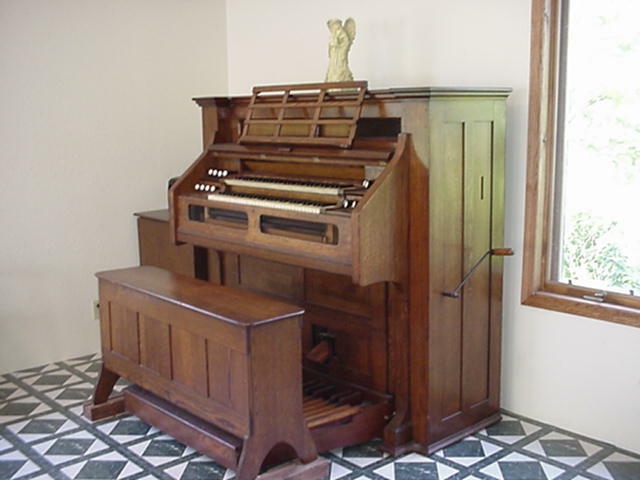 The piano pictured plays along with the organ. just under the Toy Counter. 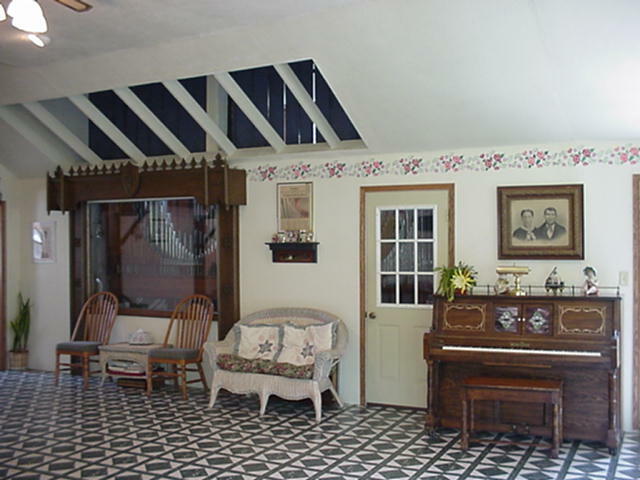 The Piano and Chamber Viewing Window are shown here. Also notice the Swell Shades above the Viewing Window. With the shades overhead the sound is very much like being in a theatre. Here is the Glockenspiel and Xylophone. The 16' Diaphone is located just behind them. Just barely visible to the Left is on of the 16' Trumpets. then the Salicional and Diapason. This is the Solo chest. The Vox Humana is first, then Tibia and the Style "D" Trumpet. The Post Horn and Clarinet are on a Wurlitzer chest behind this one. Here is the Bass Drum and crash Cymbal. 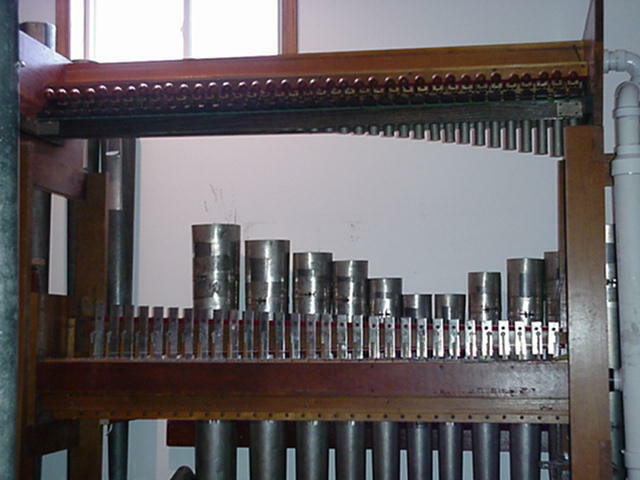 The Chimes are mounted underneath. 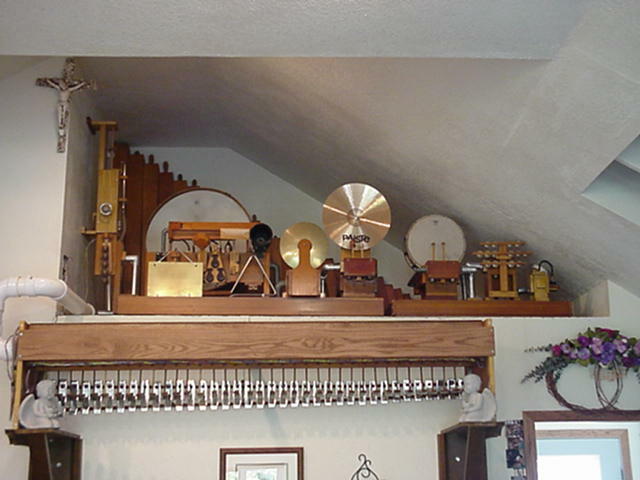 Located in the back of the Music Room is a 1923 2 Manual and Pedal Estey Crank Reed Organ. 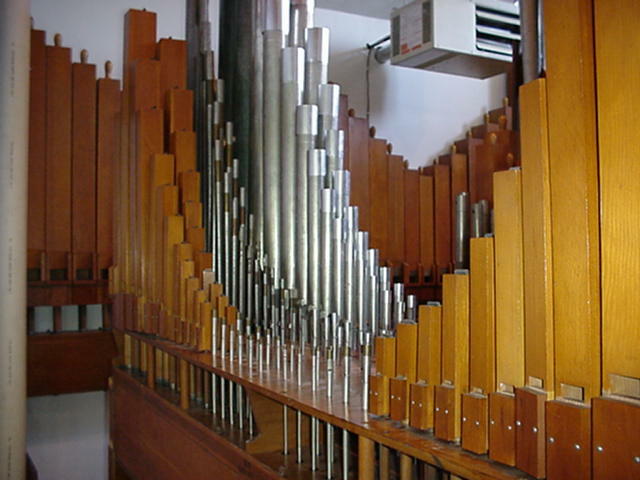 It may be played using the crank or the Spencer Junior blower located next to the organ.